On the occasion of the 26th anniversary of National Day of the Republic of Moldova (on August 27, 1991- 2017), State President of Vietnam Tran Dai Quang yesterday cabled a congratulation to President of Moldova Igor Dodon. State President of Vietnam Tran Dai Quang sends a congratulation to President of Moldova Igor Dodon. On the same day, Vietnamese Prime Minister Nguyen Xuan Phuc also sent a congratulatory message to Prime Minister of Moldova Pavel Filip. 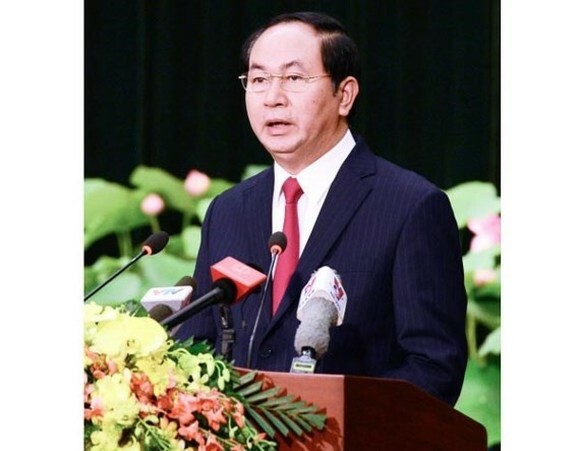 Deputy Prime Minister, Minister of Foreign Affairs of Vietnam Pham Binh Minh yesterday cabled a congratulation to Minister of Foreign Affairs and European Integration of Moldova Andrei Galbur.